The president compared ObamaCare’s rocky rollout favorably to Apple’s launch of iOS 7.0.2. Really. Well, they both do take fingerprints, operate in a cloud, and spy on us. A bug that allowed unauthorized users to get past the new iPhone’s fingerprint protected lock screen was fixed. President Obama promises the federal government, proven so nimble in the past, will do likewise. 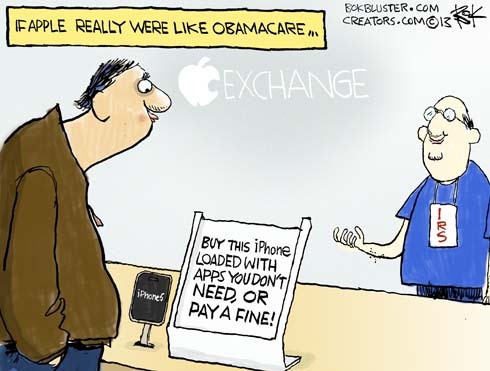 Kathleen Sebelius got into the act saying, “…hopefully you’ll give us the same slack you give Apple”. Apple CEO Tim Cook was dragged to the U.S. Senate to apologize for his success. While his company paid $6 billion in U.S. taxes last year it paid little if anything on it’s overseas stash. All perfectly legal. Even the president doesn’t pay more than he owes. 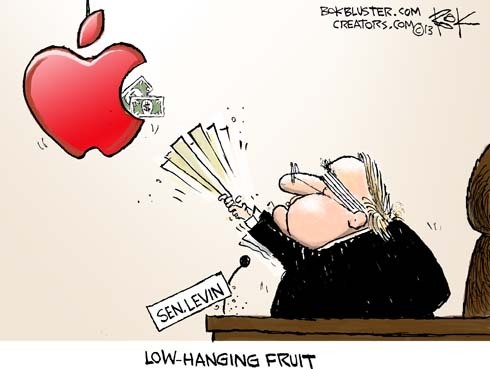 Rand Paul said the Senate ought to apologize for the dog and pony show, but Carl Levin was having none of that as he took a crack at American pensions and 401ks by insisting that Apple send more money to foreign countries. 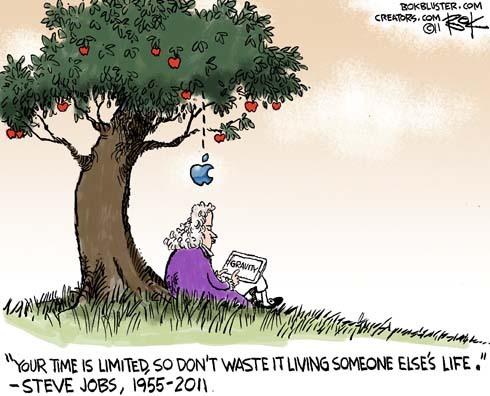 The quote in the cartoon is from his commencement speech at Stanford in 2005. …Mr. 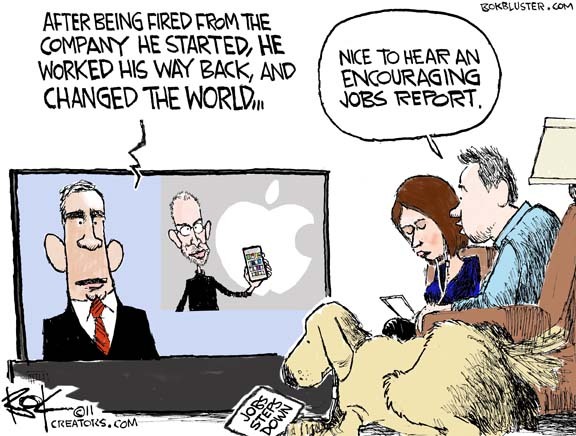 Jobs, in multiple stages of his business career, changed global technology and media in multiple ways on multiple occasions. And that changed the way people live. Isn’t it cool that you can track your lost I-phone. Um, how does that happen? 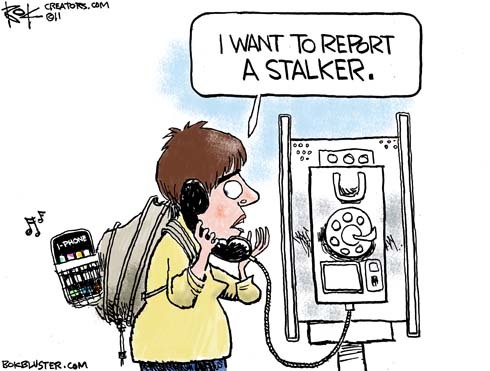 It turns out your I-Phone has a stalker app. It watches your every move and records the information in a database. Then it watches you late at night.